Last week’s blog post sparked a lot of discussion and debate on the topic of vegetables in (sweet) baking. It seems that everybody has an opinion, some are surprised with the idea, some are keen to try it and many already have and offered some great recipes. I have really enjoyed baking with various vegetables myself… and seeing the response of my taste testers, but more of that next week…. this week I promised to discuss how vegetables contribute more than just sweetness to the baking. Last week I mentioned that vegetables contain starch. Wheat flour typically used in baking contains up to 75% starch. Many vegetables such as potatoes, peas, corn and squash have a high starch content also. It is a grainy substance contained within the plant cells. So what does starch contribute to baking ? Starch is referred to as a complex carbohydrate. The carbohydrate bit means it is made up of carbon, hydrogen and oxygen. The complex part means that the structure of starch is a long chain of these carbohydrates molecules all linked together in a chain. The carbohydrate is starch is the sugar glucose and starch is composed of a chain of hundreds of glucose molecules. Starch is typically tasteless and odourless, its contribution in baking is a structural rather than flavoursome one. In the presence of heat and moisture starch granules will begin to swell and thicken. 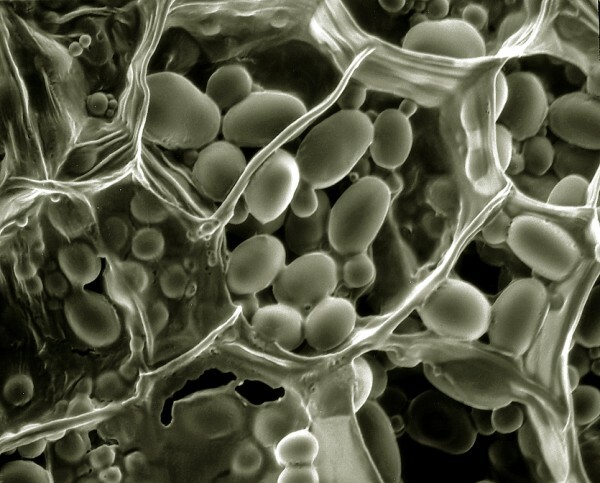 These swollen starch complexes form a scaffolding like network within the mix. When gluten is present it breaks down with heat and the starch absorbs the water it releases making the gluten dry and rigid, strengthening the structure even further. This starch-gluten structure gives baking its texture and rigidity and allows it to keep its shape once out of the oven. When vegetables are used in baking the amount of flour required is reduced. This substitution of a natural starch in place of a refined one not only makes for a lighter, less stodgy cake, it also improves the nutritional content. 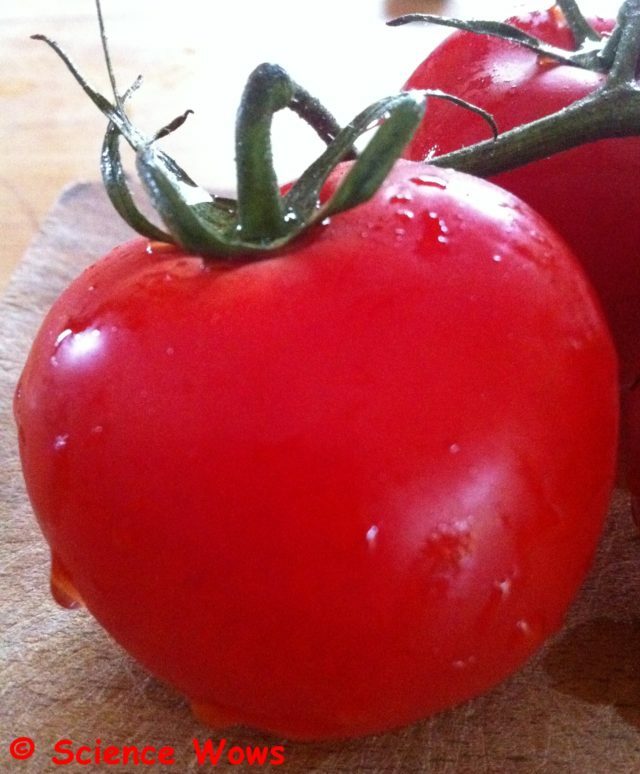 Vegetables are packed full of vitamins, minerals and fibre. These all contribute to the positive health of our skin, hair, digestive system, mood, cholesterol levels and brain power. What about a bit of water? Vegetables also have a high water content which can contribute to the moistness of the cake. The baking process allows the water to be contained within the cake as well as helping to retain the vitamins and minerals. Vegetables with a high water content include courgettes, spinach, peppers, tomatoes, peas and aubergines. This added moisture also keeps the cake fresher for longer, meaning it can be enjoyed over several days without drying out …. that’s if it lasts that long of course. Adding vegetables to baking changes the texture of the final product. As I mentioned last week, vegetables contain fairly high levels of cellulose, a fibre. In fact cellulose makes up about one third of all vegetables. This cellulose serves a structural role in the plant cells, along with smaller polysaccharides called hemicellulose. The presence of both of these greatly changes the texture of the cake. The cellulose is broken down, in part, during the baking process and this also contributes to the structure (rising) of the cake. However, cellulose still maintains a crystalline structure at the high temperatures typical of baking, and these granules directly contribute to the texture of the cake. Studies have shown that smaller granules of cellulose can yield more favourable rising of bread and other baking allowing for a lighter consistency. 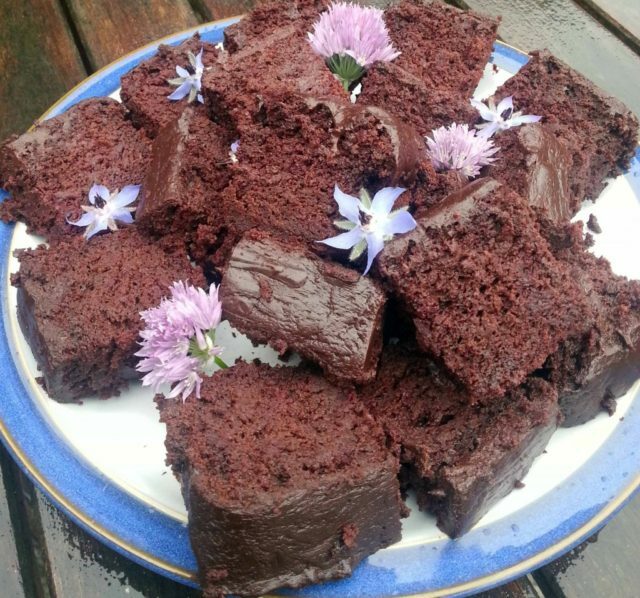 Beetroot gives a lovely texture to Dee’s Chocolate cake! So there you have it… not only do vegetables contribute a lovely sweetness to baking but they play a major part in the structure, moisture and texture of the cake. Surely you must be convinced by now? If not make sure to check back next week for the final part of this blog series when I will be sharing some recipes I have tested and the response they have received. Tune in next week for Part 3 of the series where I will be sharing lots of recipes and letting you know what people thought.